I think it has to be said before I get into this topic that I was vegetarian for 5 years and a vegan for 4. I have nothing against vegan or vegetarian diets and fully support the choice to go cruelty-free. If done healthfully, and if right for your body, I commend those who are vegan and vegetarian and hope that the mixture of vegetable, zero animal, raw (to come in the summer) recipes I post on my blog will entice and captivate you. There is a lot of confusion around growth hormones, antibiotics, BSE and the saturated fat content in cattle. I’d like to shed some light on this subject so those of you who have been afraid to eat meat or have no idea what I’m talking about, can make healthy meat choices and, if desired, go back to eating meat again. Contrary to popular belief, our bodies actually need moderate levels of saturated fats to protect our arteries, stimulate our immune system, manufacture hormones, calcium absorption, and absorption and utilization of fat soluble vitamins (A, D, E, K). Having said that however, we want to make sure that the saturated fats we’re eating are going to a) contribute to our health b) aren’t in excess and, c) are from various sources. The diets of our cattle It all begins with a high grains diet – and I don’t mean for us humans, but for our cattle. Just as we get a spike in our blood sugar after eating a huge bowl of white rice, animals experience the same when living off a grains diet. All this excess blood sugar (or glucose in the blood) is seen as excess energy and is stored as fat (saturated fat). So we could conclude that the higher the cows’ diet is in grains, the higher the blood sugar, the more the saturated fat. In fact studies have shown that grain-fed beef can have upwards of 50% saturated fat content as opposed to grass-fed beef at 10% (the same amount of fat as seen in skinless chicken, wild deer, or elk). Grass-fed cattle In addition to its lower saturated fat content, grass-fed beef is six times higher in omega-3 fatty acids when compared to grain-fed beef and is lower in omega-6 fats. The reason that grass-fed beef has more omega-3s than grain-fed beef is is because omega-3s are formed in the green leaves of plants. 60% of the fat content in grass is a type of omega-3 fatty acid called alpha-linolenic acid or LNA. This higher omega-3 (LNA) to 6 ratio in grass-fed beef (and other animals) is the key to reducing silent inflammation, reducing your risk of cardiovascular issues, cancer, and brain diseases like schizophrenia and Alzheimer’s. Artificial hormones are used on conventional livestock to increase the growth of the animals. Although the USDA and FDA claim these hormones are safe, there is growing concern that hormone residues in our conventional meat and milk might be harmful to human health and the environment. Risks to human health include developmental problems in children, interfering with the reproductive system, and even leading to the development of breast, prostate or colon cancer. The widespread use of antibiotics to prevent disease in animals is causing antibiotic-resistant bacteria to develop at a faster rate, including bacteria resistant to common antibiotics used for people. 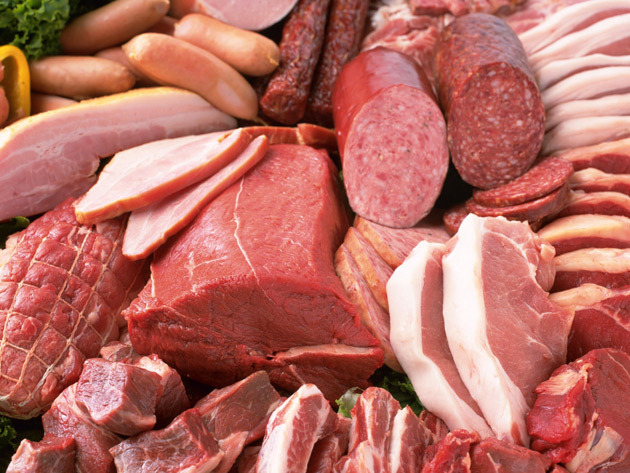 Eating the meat from these animals isn’t necessarily dangerous to your health, but you may become infected with these antibiotic-resistant bacteria if the meat you eat isn’t thoroughly cooked or if the water you drink becomes contaminated with these bacteria. If this is the case, you will have a stronger resistant to antibiotics (making it challenging to find an antibiotic prescription strong enough to help you in a time of need) and/or develop super bacteria in your gut that wipes out the good guys (more on healthy bacteria in the coming weeks). 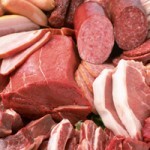 For more on meat, check out Wild Game Meat: Health Benefits.